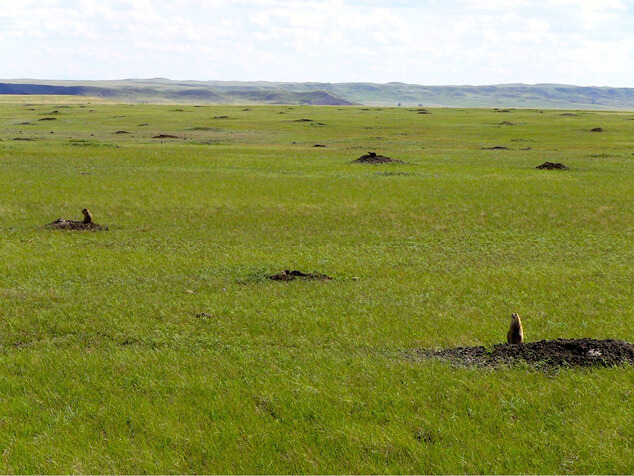 Want to be a prairie dog scientist on your vacation? When Tara Stephens, Calgary Zoo Conservation Population Ecologist, offered me a pair of snake guards – leg protection from rattlesnake bites – and explained precautions needed to avoid the plague – yes, that plague – I wondered if I shouldn’t be writing about spas instead of nature tours in Saskatchewan’s Grasslands National Park. But each summer Parks Canada and the Calgary Zoological Society offer a few intrepid travellers the chance to be a prairie dog researcher and I wanted to see if I had the chops to be a squirrel scientist, even temporarily. Have you ever wondered what it would like to be a scientist? Parks Canada offers people educational tourism opportunities. 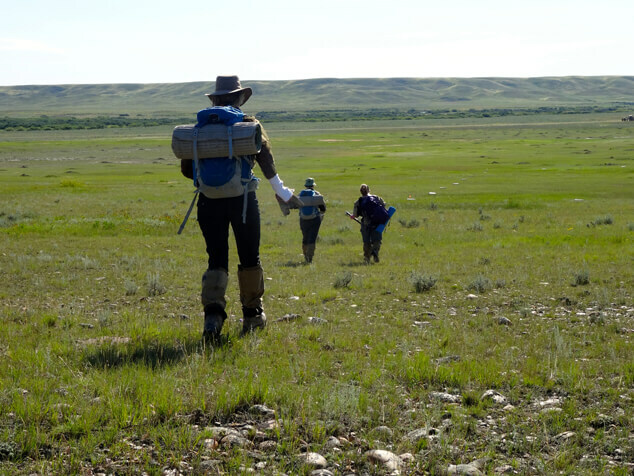 It’s not for everyone but if you can carry a backpack, don’t mind strong winds, bugs or the possibility of seeing snakes, you will have a front-row seat on conservation science. Get Your FREE Insider Travel Tips! Sign up to get your FREE report with insider travel secrets and five places you should see before you die. Receive a complimentary subscription to our monthly newsletter to learn where the best wildlife watching opportunities are in Canada and how to travel there. We hate spam as much as you do. We promise not to fill your inbox with special offers or sell or trade your information! Sign up and receive a FREE report with my insider travel secrets and five places you should see before you die.